View More In Electric Toothbrushes. Rinse Cup is super cute ! If you have any questions about this product by Super Mario, contact us by completing and submitting the form below. If you are looking for a specif part number, please include it with your message. Ready Set Brush Star Wars "YODA" Star Wars Battery Powered Spin Toothbrush ! Plus Star Wars Crest ProHealh Jr. Toothpaste & Crest Pro-Health Jr. Star Wars Mouth Wash! Ready...Set...Brush! 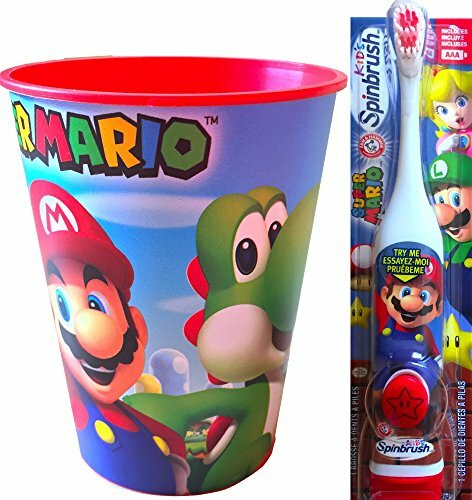 Nintendo Super Mario Brothers Spin Powered Toothbrush! Plus Bonus Mario 8pk Mini Marker Collection!